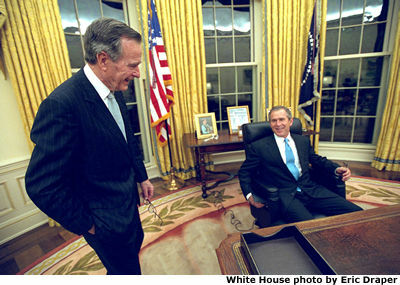 President George W. Bush sits at his desk in the Oval Office for the first time on Inaugural Day. He talks with his father, former President George H.W. Bush.